An awesome, award-winning toy designer and mother named Laurie, created Build & Imagine to get girls building in order to help them develop foundational STEM skills like spatial reasoning, design, and even problem solving. She took several play mechanics that she knew most girls loved and mashed them together in an innovative way. 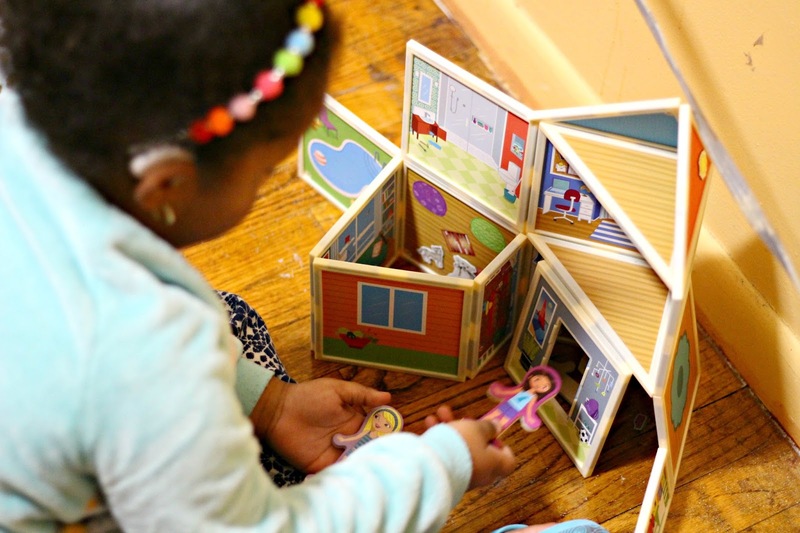 Along the way Laurie discovered that both girls and boys love her colorfully illustrated magnetic building sets, and that these budding builders were developing language skills alongside STEM skills as they whisper stories while they play. I started playing with these play sets while Gabby was distracted with something else and I was actually pretty entertained! It's like a future Architect/ Home designer's mini dream. After about 15 minutes, my daughter realized what I was up to and decided to sit and help me recreate Different versions of Malia's Beach House while dressing up Malia's dear friends from the Career Dolls play set! It's very hard to keep my daughter entertained if it isn't with a television program or something electronic. I was very surprised to see that she actually played with the play sets for a total of 1 hour! That's like a week in preschooler time! She truly loves being able to build, knock down, and re-build her houses and castles with the super easy magnetic tiles. She was even more excited for all the fashion choices there were for the career dolls. 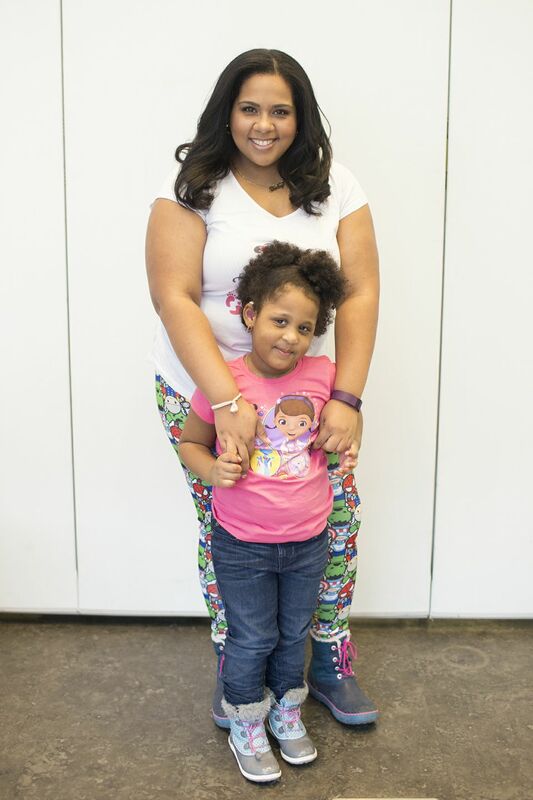 Whether she wanted to dress them up as Astronauts, Rockstars, Superheroes, or the President... Her heart was filled with happiness. 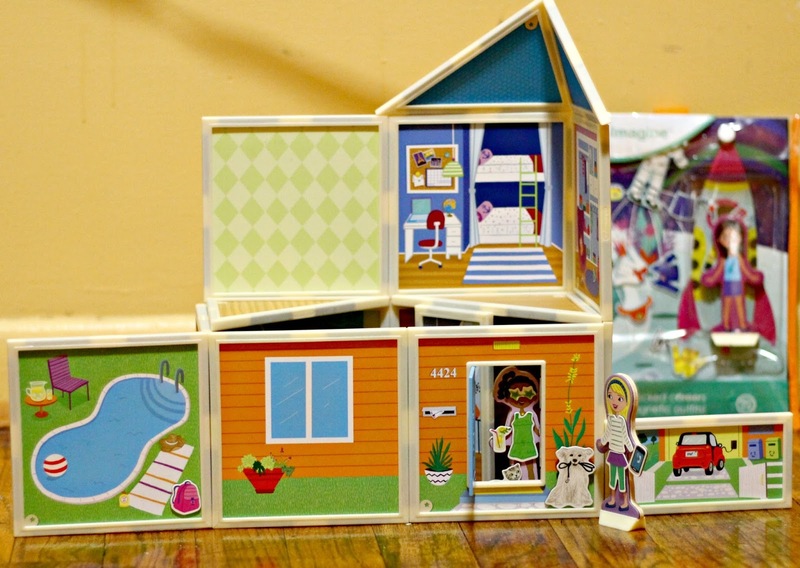 BUY IT: To purchase one of the Build & Imagine Play sets, visit the website or get it on Amazon. I really like the Creativity Castle! 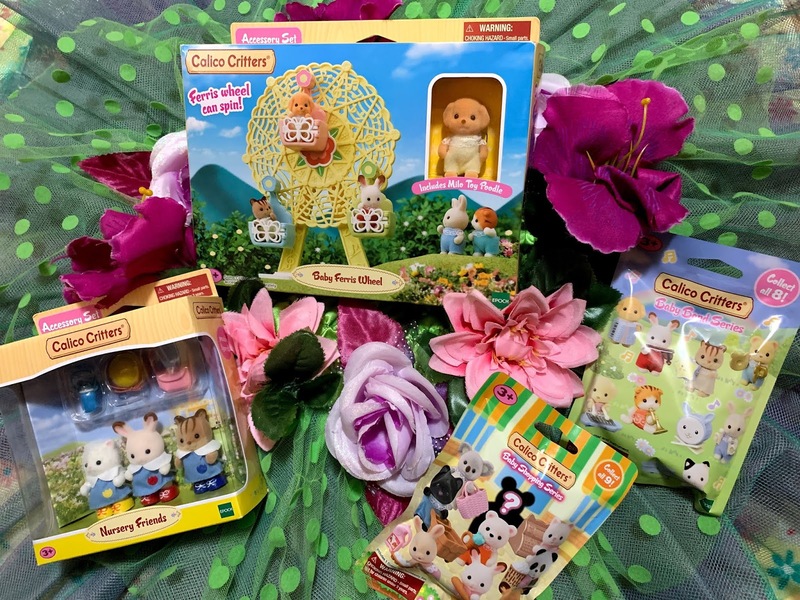 I like the Fins & Fur Collection because my granddaughter loves animals. Maria's house looks like so much fun! With my resident junior cat lady, I think the PetPortrait studio pictured here is the best fit for me. These are awesome!! Love the career dolls. I love the Fins and Furs collection. All of them are so cute! 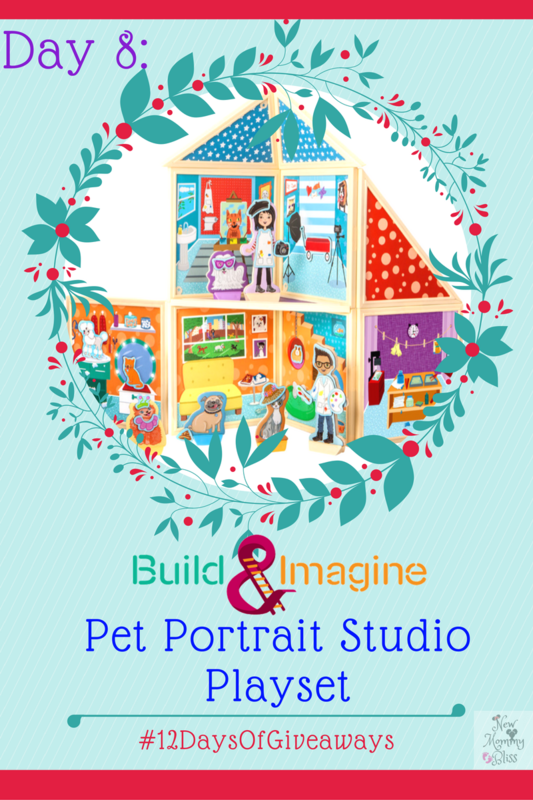 The kids love animals so the Pet Portrait Studio playset would be a big hit at out house. I think the Marine Rescue set is cute - we all love marine animals here. The Marine Rescue Center is my favorite because my kids and I love ocean creatures. Creativity Castle is my favorite. Actually love all the products... so creative and great play for kids. If i have to pick one i would say Draw and Build Dollhouse & marine rescue center !!! They are unique and love it. The Creativity Castle because my daughter is really into princesses and princes and stuff! i like the pet portrait studio. it is really cool. The marine set is fun. I liked the slumber party one because it glows in the dark. I like the Build & Imagine: Day at the Beach because my niece's love to go to the beach so they would love this. I really like the Marine Rescue Center because I love sea creatures, I think my granddaughter would prefer the dog photo studio because she loves dogs.